Yoga was originally taught in the Sanskrit language, so you have to learn to "talk the talk" before you can "walk the walk" of the practice. Phrases like “sivananda yoga” and “kundalini yoga” are not self-explanatory. Don't stress out though, classes at Crescent Yoga studio are taught in English. To help you navigate your way through the language of yoga, and find the right yoga class, here are the definitions to some of the more common yoga terms. There are many different yoga styles and they differ in their emphasis. No one style is better than the other. The style you practice is a matter of personal preference and a matter of what you need that day. An acrobatic form of partner yoga that introduces poses with two or more yogis (base, flyer, spotter) to stretch and twist into supported versions of traditional yoga poses. AcroYoga is taught in a group setting to support cooperative learning and team building skills. The therapeutic work out is ideal for yogis who want to partake in a more adventurous workout with the intent to have fun, build trust and create community. We offer AcroYoga as a Series and /or Workshops throughout the year, so check our website regularly and join our newsletter to see when you can sign up for these special events. The most talked about style of Hot Yoga is called Bikrim, defined by a 26-pose series, which is always done in the same order that takes place in a room with temperatures 105 degrees Fahrenheit plus 40% added humidity and can only be practiced in a licensed Bikram Studio. The heat helps detoxify the body, keep connective tissue and muscles warm, and can also keep your mind focused. Other popular styles in this category are Baron Baptist Power Vinyasa, Ashtanga Yoga, and Sun Stone Yoga. There is a wide range of temperatures for hot yoga but most aim between 90-105 degrees. If this sounds good to you, then you'll enjoy finding plenty of intensity and challenge in our Heated Power Yoga classes. We currently don't have any Hot Yoga classes on our weekly schedule, please check back in the future. Developed by B.K.S Iyengar (December 14, 1918 - August 20, 2014), this style of Hatha Yoga emphasizes alignment and from using special yoga props like blocks, straps, tables, chairs, and bolsters to help the body into therapeutic poses for every age group. The isometric hold of the poses in Iyengar yoga appeals to beginners and advanced practitioners alike. Try our Basic Yoga classes if this appeals to you. Meditation is a key component to any yoga class. The quiet practice is often introduced at the beginning and end of our yoga classes. Meditation encourages a clearing of the mind and can bring about emotional healing and serenity. Each class at Crescent Yoga Studio will end with a period of quiet time in Final Relaxation called Savasana. For more instruction and meditation techniques try our Restorative Yoga & Yin Yoga classes. If you are wanting more, we offer Meditation Series & Workshops through out the year, please check our Community Events and join our newsletter to see when you can register for these upcoming events. Yoga has merged with many exercise modalities over the years, like dance. Nia is a sensory-based movement practice that draws from martial arts, dance arts and healing arts. It empowers people of all shapes and sizes by connecting the body, mind, emotions and spirit. We offer Nia as well as Bellydancing as a Series and /or Workshops throughout the year, so check our website regularly and join our newsletter to see when you can register for these special events. Created by Joseph Pilates, the Pilates Method is a breathe centered practice that not only incorporates work on the large Pilates machines, but it also has a full complement of matwork. This is a form of exercise that was branched off of yoga to focus specifically on strengthening, tightening, & toning the core muscles of the mid-secion of the body. This in essence, is the floor work of yoga. If you like Pilates, PiYo, Yogalates, then you will enjoy our Core Yoga classes. 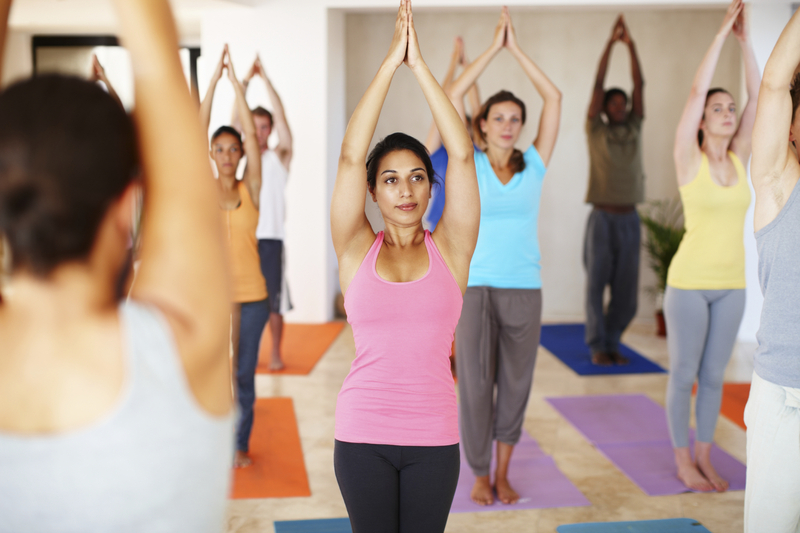 Private sessions are a good option for beginner yoga students and advanced yogis alike. Your Crescent Yoga Studio instructor will help you align your body properly and pay special attention to the areas where you can improve your yoga mastery. We offer private yoga sessions by appointment for 1) individuals, 2) couples, and 3) groups of up to 20 people, and we also offer Corporate Yoga Programs to meet your specific needs. Contact us for more details and to book your private appointment. Reiki (pronounced Ray-key) is a Japanese word meaning Universal Life Energy, evolved from the experience and dedication of Dr. Mikao Usui. Reiki is energy which is all around us and a technique for stress reduction and relaxation that also promotes healing. It is administered by "laying on hands" and is based on the idea that an unseen "life force energy" flows through us and is what causes us to be alive. This energy is also known as "chi" in traditional Chinese Medicine and martial arts, and the Sanskrit word "prana" in the yoga world. If one's "life force energy" is low, then we are more likely to get sick or feel stress, and if it is high, we are more capable of being happy and healthy. Private Reiki healing sessions are offered at Crescent Yoga Studio, contact us for more details and to book your private appointment. Vinyasa yoga is also called flow yoga. In this style, movements and poses are synchronized with the breath. Typically, upward/lengthening movements are performed while inhaling and downward/contracting movements are performed while exhaling. Come get your flow on, try our Energizing Flow, Slow Flow & Power Yoga classes for a more cardiovascular workout. Students who are looking for a slower paced class will enjoy a yin yoga. In this style of yoga, each pose is held for a long period of time (about 5 minutes or longer). Yin yoga is designed to enhance flexibility within the body by applying moderate stress to the connective tissues (the tendons, fascia, and ligaments) with the aim of increasing circulation in the joints as well as improving overall flexibility. This meditative style of yoga is ideal for enhancing your mind-body relationship and recovering from muscle soreness or injury. If you want this Deep Stretching, try our Yin Yoga, Gentle Yoga and Restorative Yoga classes. No matter what your level of fitness or flexibility, you can enjoy health and lifestyle benefits from practicing yoga at Crescent Yoga Studio. Many yoga poses -- or "asanas", as they are called in Sanskrit -- are fairly easy to do. Even the advanced asanas can often be modified to make them more accessible to the novice yogi. Our Mix Level are open classes for all skill levels at Crescent Yoga Studio, that include a mixture of styles & variations where we can accommodate students at all levels of fitness (beginner, intermediate, advanced). So even if you have a medical concern, such as pregnancy or a previous injury, we can still work with you to tailor your yoga practice to your specific needs and keep your yoga practice safe by finding an appropriate class just for you.